20 things to do before next New Year! Check out these ways to make 2016 a year to remember – with a little help from your friends and Girl Talk Magazine! How embarrassing? With Girl Talk Magazine! 10 reasons to get excited about The Voice! Whether it’s seeing your favourite artist in massive stadium or going to a local festival, make 2016 your year to go to a gig. You won’t regret it or forget it! Sleeopovers should be called Stay-Up Overs because nobody really wants to sleep! See how late you and your friends can stay up giggling (but do it quietly!). If you never enter competitions because you don’t think you stand a chance of winning, it’s time to lose that ‘tude and try out for those VIP tickets! Do it for friends and family (not for the whole world to see). It’s a fun way of storing memories for you to look back on one day. Make them as silly as you like! 7. Have a cringe catastrophe! Everyone’s got to do it once it their life, and that means you too! The bigger the cringe, the more you’re going to remember it for years to come! Being part of a team is the best way to make friends you never knew you needed. Sharing victories and defeats creates a bond you’ll never want to break! 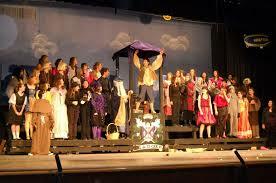 Put your friends and teachers in the story and base it on a real event that happened at your school. What will you write about? Nothing turns heads faster than showing up to school with a new hairstyle. Try out the messy bun or Taylor’s choppy fringe for an unforgettable transformation! Even if it’s just in your back garden (you need a working toilet after all), sharing stories and not showering is a stinky but fun time you’ll cherish forever! If you think people won’t make the effort, you’re wrong. Everyone loves a fancy dress party! Dressing like a Minion is a memory that won’t go away in a hurry! Will you make not of the not-so-great stuff like friendship fallouts too? It’s your life so if you only want to remember the good bits, that’s up to you! Throw a karaoke night and invite as many classmates as you’re allowed! Don’t be self-conscious about it – the worse you are, the more fun it’ll be. Rock on, sista! Invite your BFFs over, raid your wardrobe and put together some cool outfits and take pictures. It’s fun to see what styles you and your BFFs can come up with! Avoid all the online dramz and you’ll wonder why you hadn’t done it earlier. You’ll have loads more to talk about (not to mention a clearer mind!). 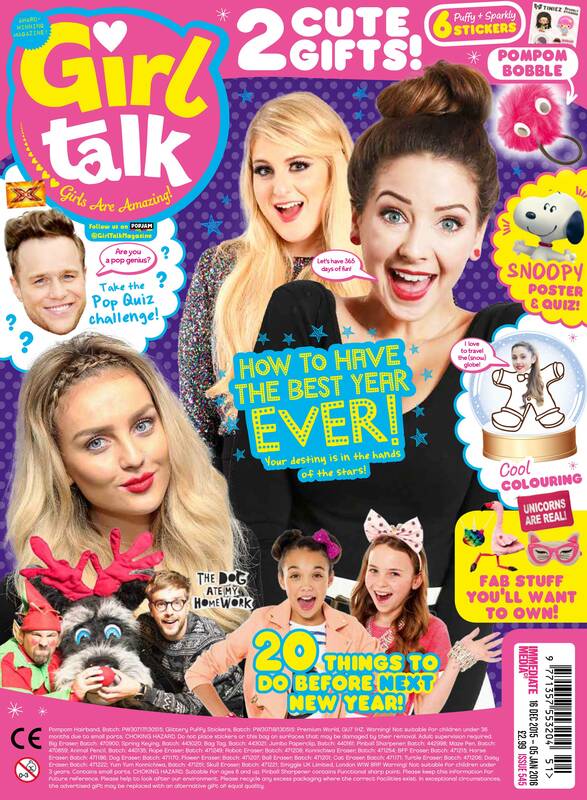 The cover stars on this issue are Zoella, Perrie Edwards and Meghan Trainor! There are also loads of top tips for the New Year!